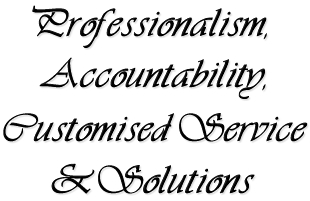 Aucamps Attorneys in Kempton Park offers you innovative, personal and customised solutions. Established 25 Years ago by managing partner, Pieter Aucamp. 16 years he was joined by Subash Dowlath adding to the skills and knowledge necessary to offer a comprehensive list legal services. Today Aucamps Attorneys is a medium sized multi-disciplinary firm with offices conveniently located in both Kempton Park and more recently and office in Sandton. Aucamps is a results driven firm which, with the law as vehicle and customer service as its driver, is able to provide a full spectrum of corporate and commercial service, as well as individual and personal legal services. Known for it's specialist expertise in tax and maritime law, the firm is expanding all the time to take on even the most complex and intricate of legal matters. Aucamps is located within the Regional Court jurisdiction of Kempton Park, we can effectively deal with all magisterial court matters in the Kempton Park, Tembisa, Benoni and Boksburg areas. Aucamps is committed to transparency and equity employment, the firm is Level 4 BEE compliant with a 100 % Procurement Recognition Level.